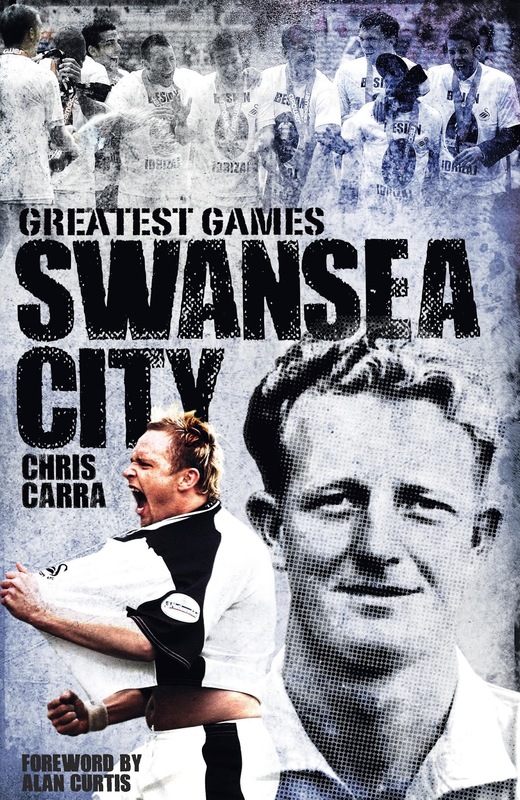 It's almost here... Swansea City's Greatest Games! Hello there. Hope you're enjoying this fine Sunday. Right, that's the pleasantries out of the way, let's move onto the main event! As you may now know, Swansea City's Greatest Games will be available to purchase from this Wednesday (October 1st). The book is a 208-page thriller, charting 50 of the Swans' finest ever matches from their 102 year history. Meanwhile there will be a book launch this Friday, October 3rd at Swansea Waterstones. If you want to meet me, I want to meet you! Books will be available to purchase and you will get the price of your ticket back as a discount on the book. More details about the launch can be found here, but there are limited tickets at £3 each, available from Waterstones. For more details, please get in touch with Waterstones on 01792 463567 or give me a shout via the contact form. I'd also love any feedback on the book, so feel free to get in touch after you've read it. Cheers! After Swansea finally saw off their bogey team Everton in last night's Capital One Cup match, Forza Swansea's newest blogger JUSTIN AGTAV briefly shares his opinions on the game with a focus on Jefferson Montero, Bafetimbi Gomis and Jazz Richards. Swansea City bounced back from their two Premier League defeats on Tuesday to beat Everton 3-0 at a rainy Liberty Stadium. The Swans made five changes to their starting eleven after the game against Southampton (with the inclusions of Gerhard Tremmel and Tom Carroll), while Everton made seven switches. Nathan Dyer scored the first goal in the first half, before Gylfi Sigurdsson nabbed the second in the 64th minute, followed by a late goal by second-half substitute Marvin Emnes. But the man of the match for me was speedy Jefferson Montero, who terrorized Everton’s right back Tony Hibbert throughout the game and set up Nathan Dyer's goal. The Ecuadorian winger has looked lively in every match he has played and it may not be too long before he finally gets a Premier League start. He hasn’t so far probably because the Swans have two excellent in-form wingers, Dyer and Routledge, but if either of them suffer a dip this season we know that the former Morelia player can step into their shoes perfectly. Another player who performed really well in the cup match was Jazz Richards. Forza Swansea writer Matthew Jacob recently wrote a great article about how the only real cover Swansea have at right back is the 23-year-old local boy. In the match against Everton, Richards might not have been spectacular but put in a solid performance and was rarely caught out of position. One player who also put in quite a good performance was Bafetembi Gomis. The Frenchman held the ball up well at times, but it would be nice to see him get on the score sheet soon. He has been excellent so far with his strength and speed, and bringing other players into play, but he is a forward and I want to see him score at some point! At the back Swansea were pretty comfortable all night. Federico Fernandez was relatively untroubled but did misjudge tackles a couple of times. Thankfully whenever he did he was able to regain the ball. I may be being a little harsh on Fernandez as he is just getting used to playing with Swansea and he is already showing signs that, in time, he will be an excellent addition to the club. Overall, the Swans were comfortable throughout the match so there’s not too much to dissect, which is always a good thing! I will say that Montero played outstandingly, and that Richards was solid - Monk may be wise to start giving him a little time in Premier League games. I'd also like to see a little more from Gomis - especially some goals! Thanks to Justin for his opinions on the match. You can follow him on Twitter and follow Forza Swansea for updates. BEWARE: Leave the Swans at your peril! After watching Michu getting hauled off for Napoli on Sunday, ALEC JOHNSON considers why any player that leaves Swansea with a greedy motive tends to end up sitting the rest of their career out on a bench. It’s Sunday, 21 September and our former glory boy Miguel Michu gets his first start in Serie A for the perennial underachievers, otherwise called Napoli. Just over 8,000 people are there to watch Udinese beat Napoli 1-0, with a frustrated Michu and equally miffed Argentinian hitman Gonzalo Higuain shooting blanks once again. The truth is that neither has scored a league goal this season. So why did Michu - once worshipped in this part of South Wales - force this move? Yes, Naples is a nice place to live but he won’t win anything there unless Maradona comes out of retirement. The games are played out in front of half-empty stadiums which themselves are crumbling, none worse that the Stadio San Paolo, as the 900 over there with me last February will confirm. But it's not just Michu's decision to move that's puzzling. We also have our Spanish-now-Arabian brothers... what's all that about? Moving to a start-up football club in a league with average crowds less than Ashleigh Road on a Sunday morning. It's cash and lifestyle over club and country. That essentially finishes the careers of Pablo Hernandez and Chico Flores. Add Ben Davies and Michel Vorm to the ever-growing list of evacuees and you start to see a pattern developing. While Ben is at least getting some Thursday football over at Spurs, Michel hasn’t put his gloves on yet. One year ago he was the Netherlands’ number one, now he is Spurs’ third choice. While accepting that Vorm actually didn’t choose to leave, he did choose the destination and clearly hadn’t considered the options fully. Nice hat Danny - shame about the bench. Roll back a few more years and it’s Darren Pratley, Dorus de Vries, Sam Ricketts and Danny Graham all scrapping around in the Championship having, in their own small-minded way, forced through exits from our club. Nobody on this list bettered themselves and none of them would find a place in our squad today. No doubt we have become a stronger club, but have they all gone backwards? 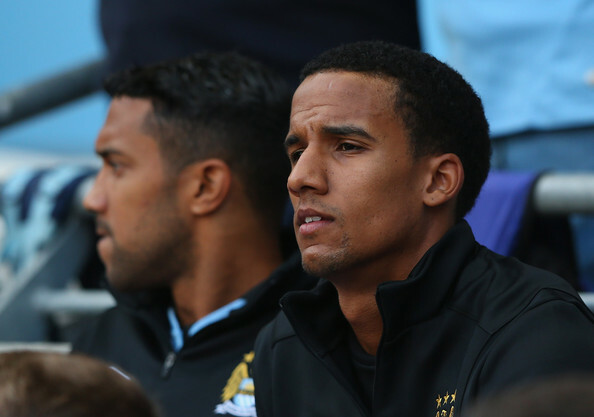 The greatest disappointment of the lot was our hero Scott Sinclair. In his final match for us he scored a stunner in a 5-0 win at Loftus Road, before leaving for a club where he played 78 minutes in the whole next season. What a waste of a raw talent that would have continued to improve within our environment. Sinclair on the bench - a familiar sight. Swansea City give players the freedom to express themselves, playing with confidence that forces technical improvement. This is also not a club that carries the weight of great expectation so the fans don’t turn on you with every mistake. We feel that we are on the journey together and Saturday’s awesome spirit through the stadium as everybody sang for the entire second half confirms this. We barely touched the ball yet the attitude was one of togetherness. That itself is very rare in football. So, the loyalty is reciprocal, as is the success of the players and the club. Nobody needs to leave for a few pieces of extra silver or an opportunity to play for their country (unless you’re English of course) as the land of opportunity is right here. The club now compete on salary in the richest league in the world, the city provides a fabulous lifestyle and the management encourage players to play. What more would you want in a football career? 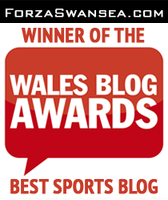 Welcome to the most successful football in Wales, and the best run club in football. Swansea City 2 - 4 Chelsea: "We are the Swans and the Swans sometimes lose." ...and we are back down to earth! It's good to get a bit of a reality check now and again and it happened today when Swansea lost 4-2 at Stamford Bridge. In fairness the Swans began superbly, passing it around with comfort and playing with speed, power and flair. They rightly scored the first goal (even though it was an own goal from John Terry) but then allowed Chelsea into the game. And into the game they came, with Diego Costa scoring one goal a few moments before the half-time whistle before grabbing another two, with Loic Remy scoring the last. Swansea's defence fell apart and Chelsea were clinical with their finishing, deservedly winning and showing why they are top of the league (as their Premiership odds suggest, they are likely to win the league come May anyway!). It tastes a little sour after the last day or so. After the hype and praise over the Jack to a King film and Garry Monk winning the Manager of the Month award, it would have been a bit too perfect for Swansea to go on and win the game against Chelsea and become outright leaders of the Premier League! It just would have been... well, it wouldn't have been very Swansea. So a pretty crushing defeat, but no-one can really complain. In general it wasn't a terrible performance by the Swans. There was a time in the first half pretty much 99 percent of Swans fans would have believed a win was imminent. The Swans are still sitting second in the Premier League table with nine points. The team is full of solid players, with no-one really just there for the ride. The manager is working hard and clearly working for the team. And there are few complaints among Swans fans. All in all this makes for pretty good reading. Just avoid the rest of the match reports and enjoy the remainder of your weekend! 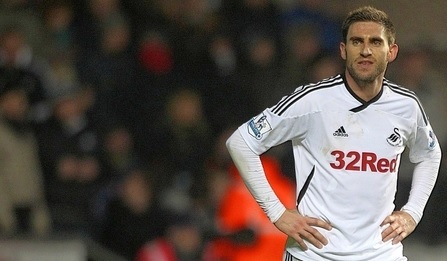 After giving a quick round-up of the summer's main business dealings at Swansea City, MATTHEW JACOB discusses Angel Rangel's role with the club and who is around to cover him if he is no longer up for the task. Now that the dust has settled on another summer of transfer dealings at Swansea City, we have the opportunity to reflect on what has actually been achieved. First and foremost we kept our goalscorer, Wilfried Bony. Some may say against the odds, given that the big Ivorian is considered to be one of the hottest strikers available in the market place, who won't be cup tied in a European competition come January. Allegedly carrying a release clause in his contract I, along with the rest of the Jack Army, held my breath as the deadline day clock ticked down to 11pm. Would anyone test our resolve with a bid in excess of £20 million? (Think about that for a second, twenty million pounds for a Swansea City forward... how times have changed!). Thankfully that bid didn't come. He remains our number ten, and personally, I believe that to be our best bit of business. Additions have come all over the pitch though, and have significantly improved the squad. Lukasz Fabianski looks to be an absolute steal, while Gylfi Sigurdsson has given our midfield not only additional flair but a focal point to channel all our good play through. 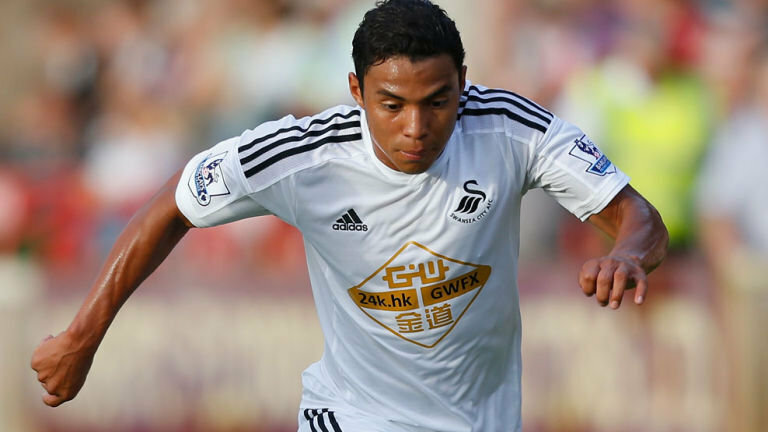 The jet-heeled Jefferson Montero offers another option in the wide areas, while we also sorted a new deal for Ki Sung Yueng, and recruited Bafetimbi Gomis, again on a free - more shrewd business by the club. However, despite all this success, there were areas that, for me at least, were not addressed. Hands up if you honestly feel we have competition for Angel Rangel in that squad? Still a crucial part of Swansea City? 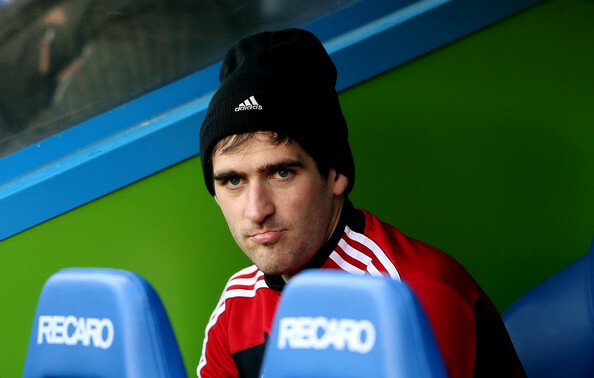 The Spaniard is arguably the club's most loyal servant following the likes of Leon Britton, Alan Tate, and the boss himself, Garry Monk. It is almost certain that he has given us the best years of his career and at 32 it wouldn't be unfair to suggest that this season may be his last as a real quality option at right back. That is not to suggest that Rangel hasn't been a superb servant for the club, and the way he has started this season has more than confirmed he still has what it takes to compete effectively at the top. The question still remains though: where do Swansea City go when Rangel cannot bomb on past the winger and put a cross in? Or when he can't beat a winger for pace and cover? This leads me back to the transfer window, and probably the only disappointment for me was the club failing to land a right back to first and foremost challenge Rangel for that spot, but also to provide effective cover for the former Terrassa man. Dwight Tiendalli could be forced into action should the need arise but is naturally a left sided defender, while another summer recruit in Stephen Kingsley has also been earmarked for left back, and is seen as a firm development player for the time being. Neil Taylor, who has shown signs of getting back to his best following his start to the season, has played at right back for Team GB but again is a more natural left sided player. For me, this leaves us with Jazz Richards as our only solid right back after Rangel. Does Jazz have what it takes? Jazz Richards has been at Swansea City a considerable time. Following his professional debut in 2009 he's had loan spells with Huddersfield and Crystal Palace before signing a new contract with the Swans last year (one which will take him up to June 2016). The local boy is seen as a brilliant deputy right back and nothing would give me greater pleasure than to see him step up and become first choice in that role once Rangel eventually starts to wane. Having players come through our youth system and into the first team is something Swansea City have had considerable success with in years past, namely Joe Allen and Ben Davies who both moved on to bigger clubs, while Josh Sheehan is slowly breaking into the first team. Now is the time for Richards to really push on. If he is to be Rangel's successor, it has to happen soon or it won't happen at all. For me, this season and next could see Rangel's time as a first team player come to an end, but for the time being I see no better option. Frankly, we're very lucky to have a player of Rangel's considerable talent in our team already, and I hope he continues those overlapping runs for a little while yet. 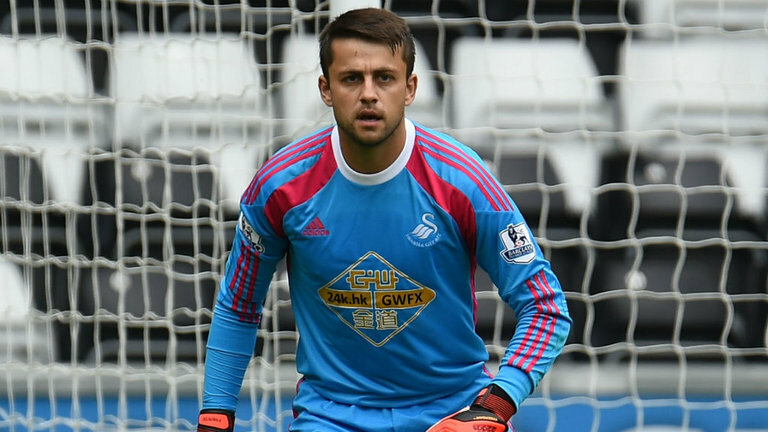 Lukasz Fabianski - Has Swansea's gamble paid off? Three games down and just one goal conceded, with Lukasz Fabianski deserving much of the praise for Swansea City's solid defensive performances. But as JUSTIN AGTAV discusses, signing the mistake-prone Pole was a bit of a gamble. So has it paid off? When Swansea sold Michel Vorm in the summer and were left with new recruit Lukasz Fabianski as his replacement, I was a little nervous. I had seen Fabianski play almost every season during his spell with Arsenal and in that time I noticed that he was constantly misjudging crosses and had certain problems catching the ball. He even made a mistake in the FA Cup final last year which almost cost Arsenal the trophy. But it seems he is not making any of those errors with the Swans and has been one of their best players over the three games so far this season. 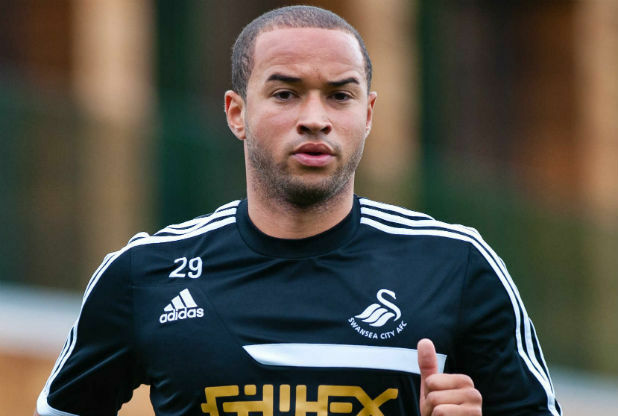 The key man for Swansea this season? Considering that Swansea got him for nothing he is the very definition of a bargain signing. Arsenal shelled out around £3 million just to get backup goalkeeper David Ospina, while Southampton spent £10 million to get Fraser Forster. Based on past performances one may have said that Fabianski may not be as good as these two keepers, but after seeing him with the Swans we now know he is certainly capable of becoming a Premier League star. In the first three games he was outstanding, keeping a clean sheet against plucky Burnley and West Brom and conceding just one against Man United. Of course every time the ball came towards him I still had the lingering feeling that he was about to make a mistake, but he actually dealt with cross after cross superbly. Meanwhile, his height (6ft 2in) makes him a much better aerial presence for Swansea than Michel Vorm (just on 6ft). His distribution was excellent as well which suits Swansea's game perfectly. And he communicated well and looked generally very confident. And confidence is why I think Fabianski will be a star for Swansea this season. He always made excellent breakaway saves and was excellent at shot stopping for Arsenal, but at the same time he always looked nervous. He may have been afraid to make mistakes, because it was likely that he wanted to be Arsenal's number one keeper so much. But now that the Pole is the undisputed number one at Swansea, he should have no problem with confidence and could end up being one of the goalkeepers of the season.